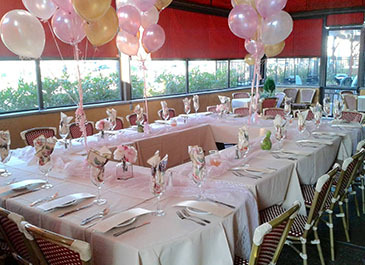 Allow our professional party planners to create the perfect event to celebrate your special day. 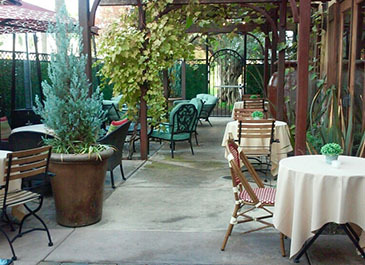 The intimate setting of the patio creates a beautiful and elegant space for you and your guests to enjoy all year long. Our heaters and fireplace keep you warm throughout the cold winter months, while our fans and misters cool you off during the warm summer months. Heres what you need to know. Enjoy a taste of Italy as we customize your menu with an array of our freshly prepared dishes made to please everyone's palette. 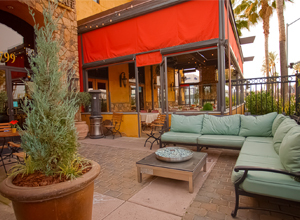 Choose from a delectable assortment of appetizers and entrées to create your perfect meal. We offer full service to fit your specific needs. Take pleasure in our wide assortment of wine, beer and specially-crafted cocktails in addition to our full service bar. Call to Check Availability. 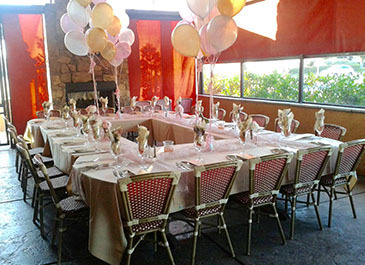 Call and schedule an appointment with our event coordinator to create a special full service private event. 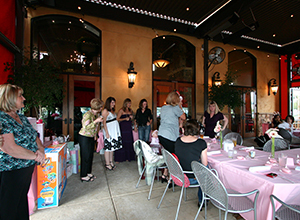 Your personal event coordinator will help answer questions, make your reservation and design the event and menu.